We all have heard about ‘For Profit’ education and the key concept of this type of training is to have enough revenue to not only use the public funds to finance all of the business operations, but also maximize profit for the business. For profit education spans multiple domains, from educational institutions delivering K-12 education to higher level school education, professional training institute to corporate level career education. In this article we are going to focus on the later domain where we are going to talk about the key components of ‘for-profit’ corporate level professional and career education. Most of the corporate organizations have either centralized education services departments with the name XYZ University or XYZ Global Education Services and their main objective is to deliver training not just for internal employees for enablement and compliance but to train their customers and partners as well and collect revenue from it and hence the name ‘External’ or ‘For Profit’ training. Business objective of these departments is to maximize the training revenue by training their customers and partners (Better trained and informed customers is the most satisfied customer) which in turn results in selling more products (and training). In order to succeed in their business objective, these departments need solid infrastructure in terms of tools and technologies and that is where very robust, flexible, start of the art, easy to use and configurable learning platforms play a huge role. We are going to talk about the key components of such platform to make external training business successful. What are the key components which are required to make external training successful? Let us look at the key features which pretty much apply to most of the businesses these days. Easy to use User Interface: Any application or tool which is customer or end-user facing needs to be truly exceptional when it comes to serving the needs of the customers. It needs to be simple, intuitive and to be able to deliver desired results in no-time and with minimal number of clicks. Not just it needs to be user action oriented, but it also has to be intelligent and personalized to be able to recommend and prescribe trainings. Configurability: This is another key area where most of the platform vendors are focusing on these days. Gone are the days where the applications were customized inside the firewall by the development teams. These days many of the platforms are available on cloud and as SaaS service. The configurability of the platforms is key to be able to successfully launch the tools and easily adapt within the target audience community. Plus the cost of ownership also stays low. Training Delivery Methods: The platform needs to be able to offer standard training delivery modes of Instructor-Led, Online/Self-Paced, virtual Instructor-Led, etc. Bundling and Packaging Ability: Complex businesses and use cases often demand complex and flexible offering structures. If the platform offers capability to construct flexible training offerings, it gives huge advantage to the business and gives ability to meet complex business demands. Any course or content can be packaged or bundled with various paths and/or rules with flexible pricing models, meeting demands of multiple use cases in various countries. Multiple Payment Methods and Credit Card Integration: Since we are talking about the commercial business, training platforms need to be able to offer flexibility in payment methods and integration with all popular payment platforms. Discounting and Promotions: Every commercial business also demands multiple options for delivering promotions and discounting models. It could be X% (or X amount) off certain group of trainings in certain period OR Y% (or Y amount) discount to certain audience group or market segment. It could also be promotion on new training products for certain period. 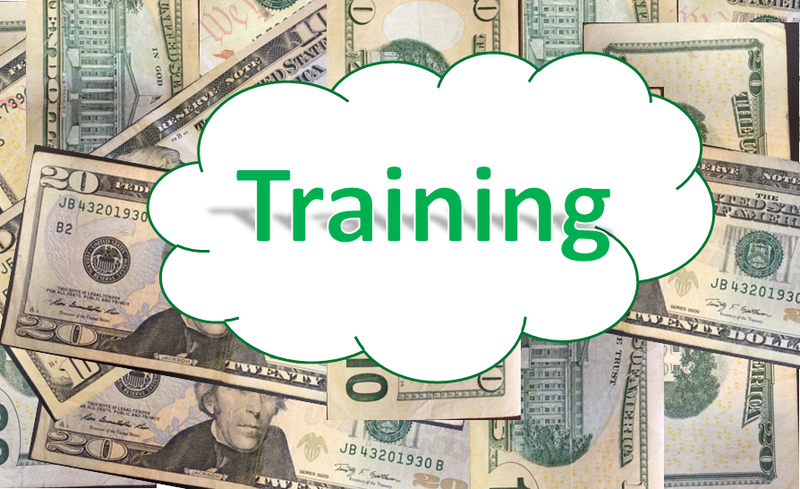 Training Units or Virtual Currency: Many times big training businesses when dealing with other big customers want to sell training retainers (similar to gift card kind of model), hence creating a training delivery pipeline which can be realized in upcoming period, typically valid for 1-2 years. Education business may sell set of training units equivalent to dollar amount which customer can use for purchasing training services as and when needed. Subscription Models: Some businesses operate on all-you-can-eat buffet kind of model for their training business. They sell yearly subscriptions to their customers for the set of training offerings they have and then it is upto customers how they take advantage of the subscription service they have bought. Mobile and Connected Training (on the go): Past few years have seen the trend of making training available on the mobile device. This is very helpful for the sales kind of people who can access training anytime and anywhere as they travel to their customer sites. With advancement in mobile platforms such as tablets and smartphones, this has become much easier. Learning platform which easily integrate and deliver seamless experience across devices, but still keeping the user connected to the content (along with their progress) are hot these days. Social platform Integrations: For the learning platforms which are able to deliver the training, but are not providing social platform interface are missing big time on user engagement and informal learning experience. User’s today demand that they should be able to collaborate with their peers and industry experts. This is becoming one of the selection criteria for the learning platform vendors. Managing delivery operations: Among all the features listed here, this is one of the key features of the learning platform. To run any business, you need to be able to manage and administer your operations. Starting from creating the content, listing out classes for enrollment, management of resources to deliver the classes and content, administering the learner experience pre and post classes, etc. is part of operations and there needs to be solid administrative foundation part of the platform to support running the business. P&L Analysis with reporting: Finally, when you run the business, wouldn’t you like to analyze the total cost and revenue to see if the business you are investing in and how you are running it is resulting in profit or loss. Commercial learning platforms need to be able to provide reports and analytics for the operations team to give needed business visibility. Also businesses demand that it should also be integrated with corporate reporting systems for the same purpose. Praveen Khurana is a learning technology leader in learning management and human capital systems. He has 18+ years of experience in this industry and has consulted with and has implemented learning, talent and knowledge management systems for many fortune 500 companies. Next Next post: Are MOOCs good option for corporate learning?